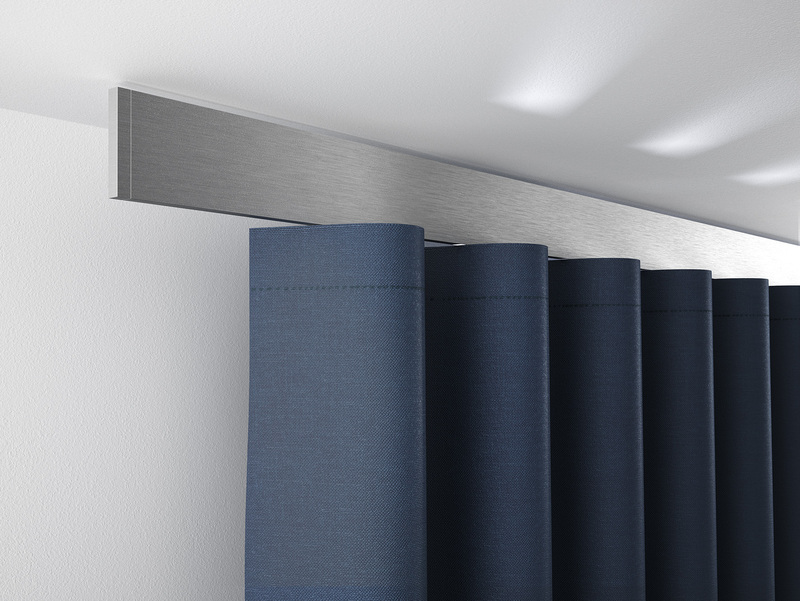 buchheister®slim Thanks to designer Jochen Schmiddem the curtain-profile buchheister®slim is characterized by its refined and minimalistic design, that appears light and elegant. With only 5 mm thickness the faceplate hides the whole technique of the profile but is almost invisible, seen from the side. 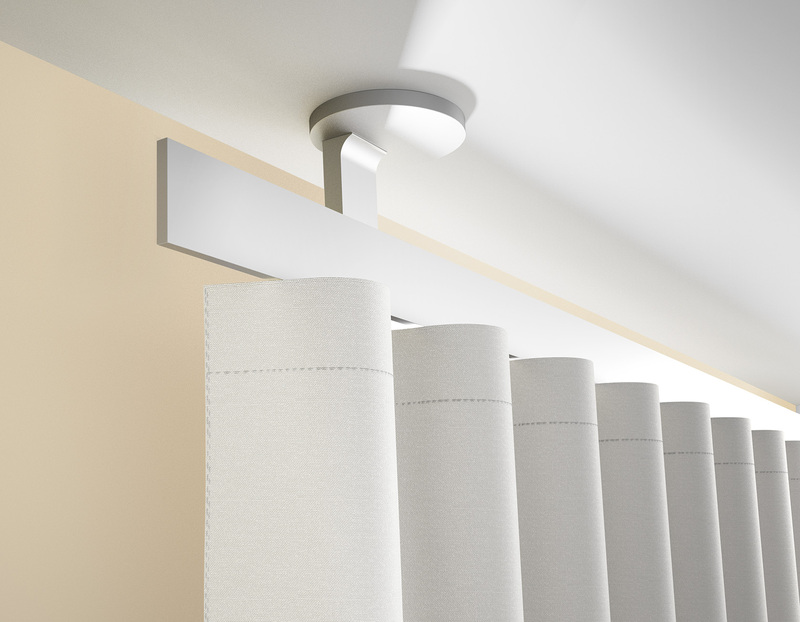 Combined with the detailed designed ceiling-bracket you may create an excitingly contrast or keep the reduced appearance by using the stylish wall bracket or an unobtrusive ceiling bracket. 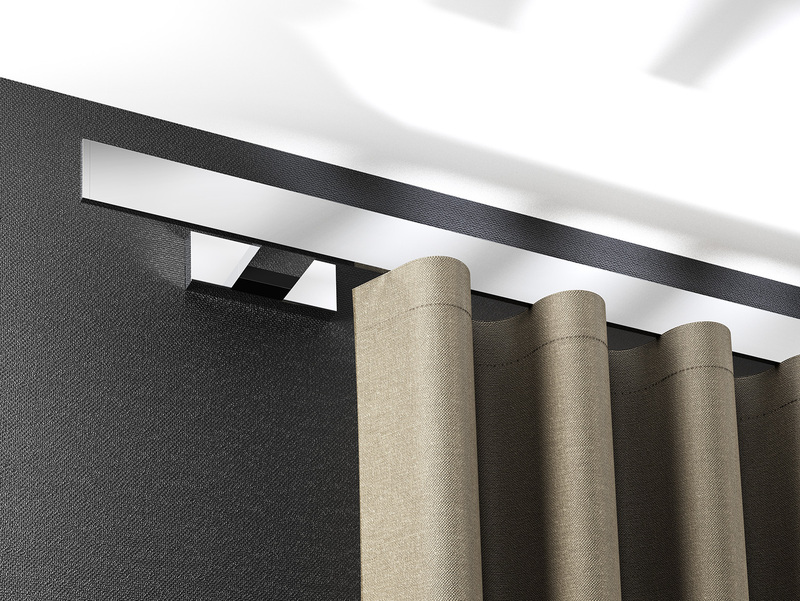 The new designed glider cord for wave curtains ensures a very neat and uniform style, which perfectly matches to a straight, modern architecture. It is contained invisible within the track ¬– for a floating appearance of the fabrics.